Symbolising new growth, transformation and prosperity, a traditional wishing tree will be set up in the departure lounge of Terminal 2. In Asia, blossom trees embody love, strength, new growth and prosperity. 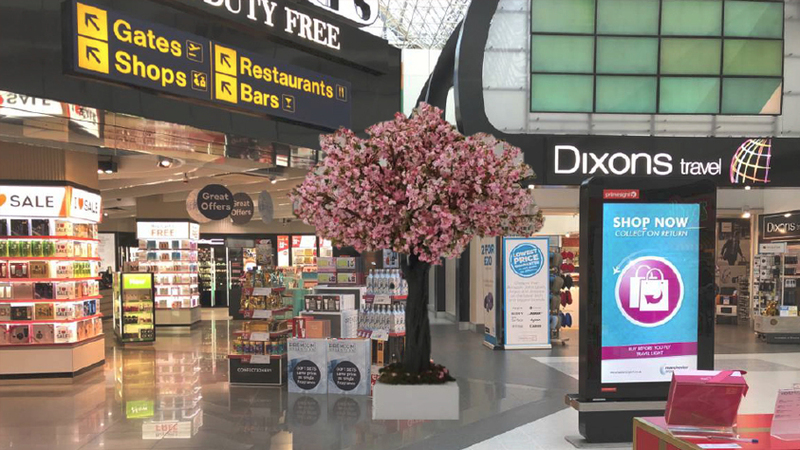 Manchester Airport is honouring the wishing tree tradition by offering all passengers an opportunity to make their wishes under the blossom tree during this festive time. In preparation for our Chinese New Year Celebrations, we have decorated the entire airport with Chinese lanterns. Keep an eye out for our interactive Chinese New Year lift posters and Olympic House, which will be lit with a Chinese symbol to mark the start of the new year. Terminal 2 arrival hall will be hosting an exhibition ‘Chinternet Ugly’ in collaboration with CFCCA focused on the growing Chinese internet culture known as the ‘Chinternet’. ‘Chinternet Ugly’ celebrates lo-fi aesthetics and pays tribute to the humanity found between the cracks in a digital world of smooth transitions, polished selfies, blemish correcting software and autocorrect. Here you can find a range of incredible, exclusive artwork from leading Chinese artists including Miao Ying, aaajiao, Lin Ke, Liu Xin, Lu Yang and Ye Funa. You can find videos of the spectacular celebrations right here. And, on behalf of Manchester Airport, we’d like to wish you an incredible New Year filled with good fortune. If you are planning on heading into the Airport on February 5th you can find more information about our celebrations by clicking here.